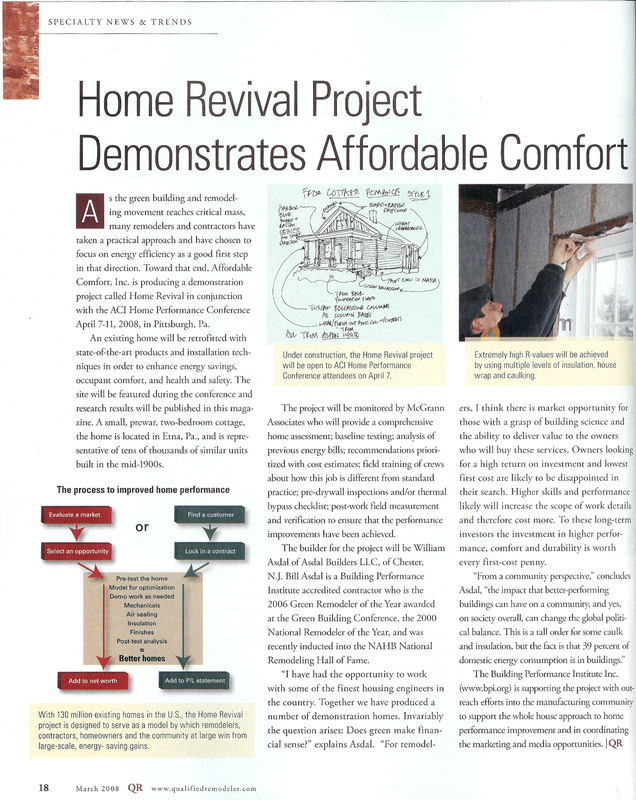 Home Revival: Energy Efficient Homes are Worth More! In a long established, but underutilized, study the Appraisal Journal has evidenced an increase in Rational Market Valuations for Home Energy Efficiency. The full report can be downloaded from the files on the lower left. The technical jargon aside, there is about a $20.00 return on sale for every $1.00 saved per year in energy consumption. Were you to achieve a $100.00 / month savings, that $1,200 annual savings would produce a home value increase of $24,000. This tidy sum is more than enough to recapture prudent investments in energy savings and yield comfort along the way. This same valuation shows through in the return on investment (ROI) on rental properties. If the building costs less to operate, the savings drop to the bottom line, increasing net operating income (NOI). Income producing properties are generally valued as a multiplier of their NOI, hence a higher income will create more value on sale of the property. Do the math, energy efficiency pays.